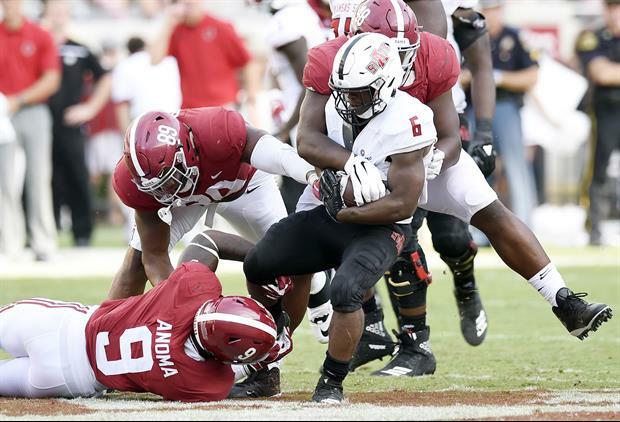 Multiple sources are reporting that Alabama backup outside linebacker Eyabi Anoma has entered the NCAA transfer portal. Anoma is a former five-star prospect from Baltimore, MD (St. Frances Academy). He appeared in six game in 2018, recording six solo tackles. He staying ain't going no where. ???? His brother Mel isn’t going anywhere. You could even say he’s malignant. This one hurts because Anoma would certainly have started next season and he is a great talent. So playing time is not the issue. He must really love him some Locksley? We should just start a college called: Transfer University. You can transfer here, and play without sitting out a year, but the coaches aren't funded. So it's mostly homeless men drawing plays in the dirt.